Huntington and Savage, Atlas, Designed To Illustrate The Geography Of The Heavens, New Edition, 1835. Very good. Overall toning. Some foxing throughout, especially over Oct, Nov, Dec sheet. 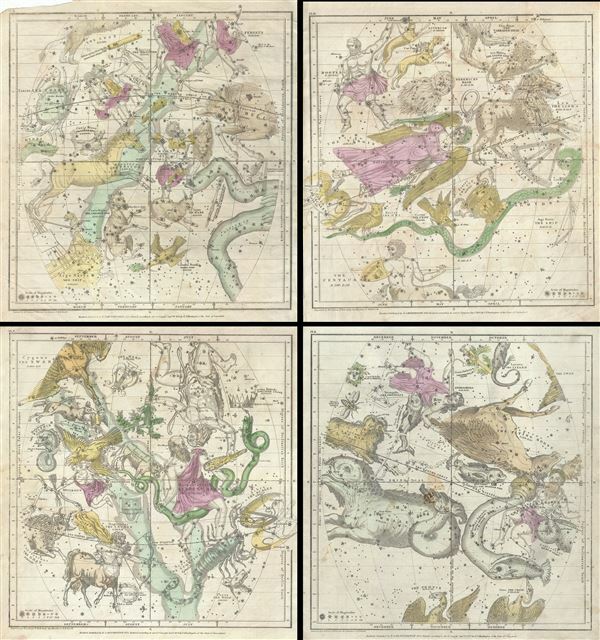 Set of four maps. Rumsey 2853.002, 2853.003. Kanas, N., Star Maps, p. 277-78. Kidwell, Peggy Aldrich, Elijah Burritt and the 'Geography of the Heavens. ', Sky & Telescope 69 (Jan 1985).